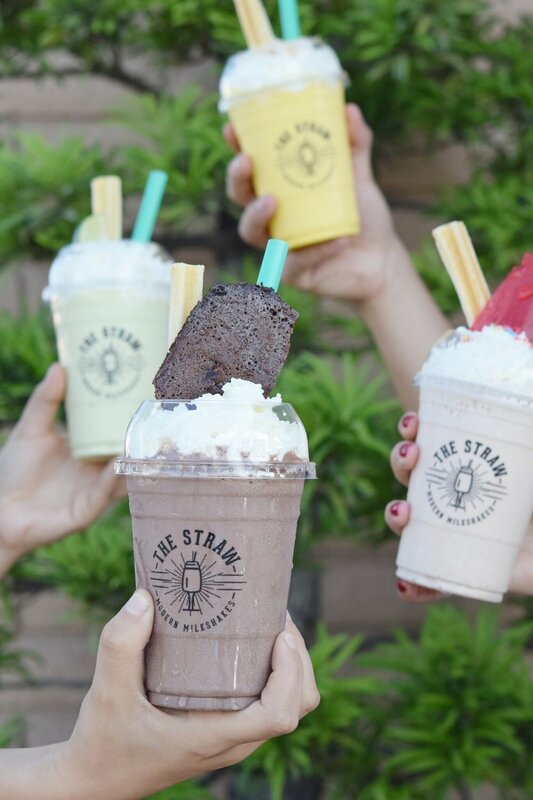 The Straw is one of Orange County's latest hot-spots for cool treats. Serving up modern milkshakes made with unique ingredients and creative garnishes, The Straw has quickly garnished attention for foodies and families alike. Located in Costa Mesa, their storefront is simple and straight-forward, making the experience 'all about the shake'. Visit once to snap photos of their colorful offerings such as 'The Wonka' (featuring a variety of berries, pop rocks, confetti sprinkles plus a candy straw), but visit twice to get ahold of their addicting 'Donkey Kong', a banana and cookie butter shake with chocolate chips... served with a cannoli! Not to mention, many of their offerings are available dairy-free, as well as low-calorie, making it a spot for anyone and everyone to indulge at. 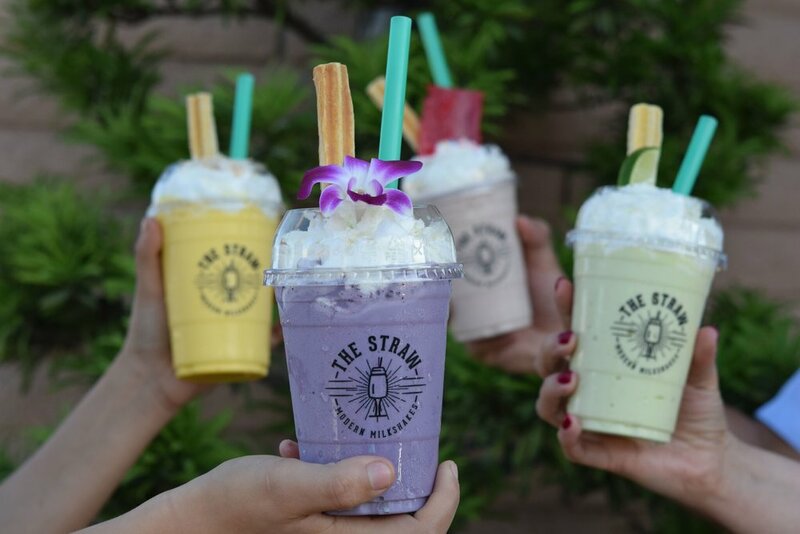 Owner Patrick Nguyen and his team are bringing something truly different to the table for dessert, so grab your straw and get slurpin'! Milkshakes at The Straw are unlike you've ever seen or tasted before. Their menu boasts flavor combinations ranging from earl grey tea-infusions, to deep fried bacon and maple syrup, to a jalapeno-pineapple creation. You'll also find shakes designated for the chocolate-lovers in your life, as well as the health-conscious, with their dairy-free and low-calorie modification options. Stray from the ordinary at The Straw, and never look at milkshakes the same way again. The Wonka: white chocolate milkshake made with raspberries, cranberries & blackberries, topped with pop rocks, confetti sprinkles and a candy straw. Friday - Saturday, 9:00 a.m. - 10:00 p.m. Listed The Straw as the #1 milkshake in the U.S.